As you get older, your body’s production of skin-strengthening compounds, such as collagen and elastin, slows down – leading to lax skin that makes you look older than you feel. 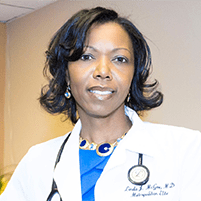 At Metropolitan Elite Family Practice located in Laurel, Maryland, Dr. Linda McGee provides laser resurfacing and body contouring procedures to help tighten up loose, sagging skin. Call the office or book an appointment online to learn how you can benefit. Dr. McGee uses the Icon™ Aesthetic System to provide laser skin tightening. The Icon uses laser energy to rebuild and resurface the skin, so you achieve a smoother texture and improved tautness. If you’re bothered by mild-to-moderate skin laxity, Icon laser treatments may be right for you. The procedure is especially beneficial if you want to avoid the invasiveness of a facelift with its blood loss, chance of infection, and long recovery. Dr. McGee or a certified member of her staff uses a specialized handpiece to deliver the Icon laser energy to your face. The pulse laser treatments may address the area around your eyes, lower face and neck, resulting in tightening of the skin. The laser energy stimulates the rebuilding and restructuring of collagen and elastin, as well as the production of new skin cells. As a result, you experience increased elasticity, a reduction in the appearance of wrinkles and sagging, and improvement in the look of sun-damaged skin. Do Icon laser treatments hurt? Most people find the laser treatments tolerable, but Dr. McGee offers a topical anesthetic in advance to ease any discomfort. The Icon has a cooling system that helps ease the heat emanated from the laser. What recovery is required after laser skin-tightening treatments? As opposed to invasive surgery, which requires weeks or months of healing, you can recover from Icon laser treatments within about four days. You may see immediate improvements in the quality of your skin’s texture and tautness, but optimal changes happen over the course of about six weeks. This is because your body needs time to produce new collagen and skin cells. How does body contouring help tighten your skin? At Metropolitan Elite Family Practice, Dr. McGee contours trouble areas – such as your abdomen, love handles, under your chin, and thighs – with the revolutionary SculpSure® fat-reducing system. The laser energy penetrates your skin’s surface to go deep and disrupt fat cells so they die and then are permanently eliminated by your body over time. During this process, skin in the treatment areas also tightens slightly. 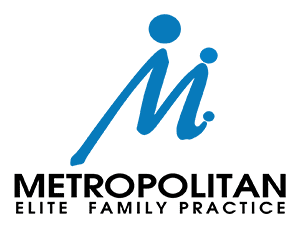 For skin-tightening treatments, make an appointment at Metropolitan Elite Family Practice. Call the office or use the online booking tool on this website.